Last year in December I had severe problem with pimple first time in my life. Then I consulted a dermatologist and he asked me stop using anything I use out of the routine he asked me to follow. Before that I had just started using the white glow range from Lotus. I had been just a week and I had to stop, but my Mom liked the products and continued using them and I must say these are actually good. I am reviewing the face wash first today; then I will review the day crème and the night crème. First of all I would like to point out that this face wash would suit all skin types, which is why I bought this. As I have combination skin and Mom has oily skin. Personally I am not fond of fairness products. I used to be really fair before I started playing basketball! Sun burn I tell you! But I like my skin tone more now :D.
So what I wanted was glow not fairness as I might have told you I was feeling that my skin was getting a bit dull. That is why I thought of giving this range a try. 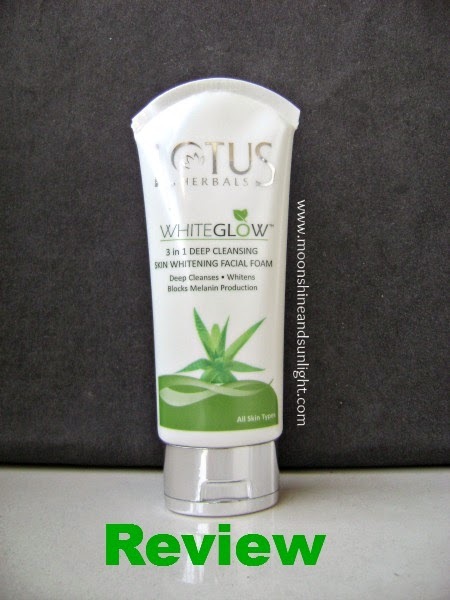 This claims to be 3 in 1 , deep cleanses, whitens and blocks melanin production. Package:- A nice long tube with a flip cap , a silver flip cap at that. The tube is in white color. Flip cap is very tight and there are no chances of leaking. So this is also a very travel friendly product. Product :- little runny face wash, spreads evenly and foams evenly. The fragrance really refreshing and calming. A very mild fragrance. My experience:- This is a product for all skin types , and I think it works too because my face feels very clean and soft after wash , not dry at all like other fairness products. It does not provide “instant fairness” but makes the skin relatively glowing for a few minutes. Not a fade out white , but a natural healthy glow. But in the long run, I don’t think it would help very much from the fairness part. I would say that this is a pretty good face wash at this price range. 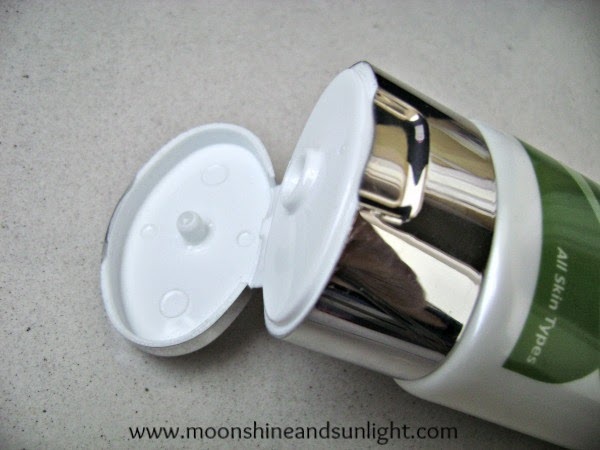 I would recommend this for people looking for an instant healthy glow. Have you tried anything from this range?? Have you tried this face wash ?? Nice review Priyanjana, I love Lotus products, haven't tried this range though. Well reviewed Priiii! 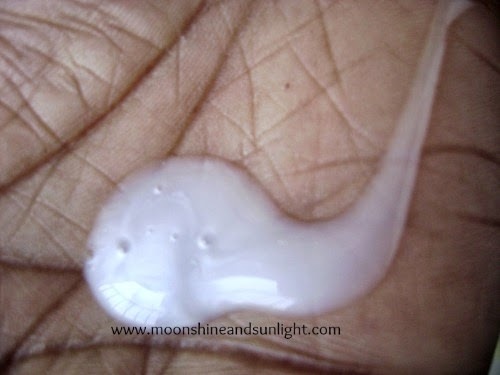 I have only tried lotus sun lotion. Thanks re !! yeah their sun block range is the best !